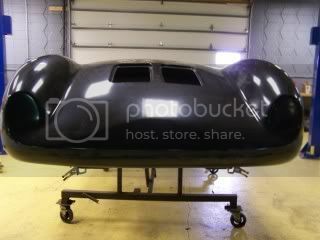 We have just finished our own rear clamshell with a modified rear fender profile, modified rear license plate light area, modified fender well opening profile and modified fender well lip, as well as some minor changes to the overall rear profile (rear smile). 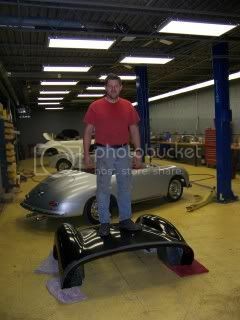 Again, this is NOT a copy/splash of anyone's rear clamshell modification, rather our own efforts based on measurements that I was able to take from one original spyder (California based), 1 pre-Beck replica clamshell (local IN based), and photos and measurements from a client overseas that has access to another original 550. 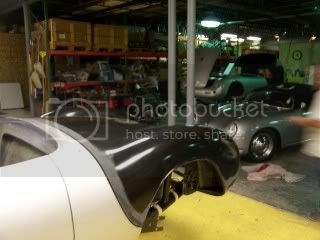 Not surprisingly all 3 cars were a bit different from each other, but what I have created is a happy medium between the original Beck lid and all 3 of the others. The part is made here in Indiana and is a vacuum bagged epoxy resin part with added honeycomb core matte across the center section. Weight is virtually identical to the existing clamshells yet it is MUCH stronger. The parts will be offered in a primer gel. 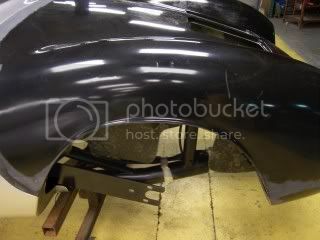 The one pictured below is in black primer gelcoat. They include factory Beck inner wheel wells and factory Beck front stiffener. All you have to do to fit it up is attach your existing hinges and transfer over your latch pins, grills, and rear top catches. It is a PERFECT fit and made specifically for the Brazilian production Becks. The clamshell pictured is the first production clamshell out of our new molds. Production time is approx 2-3 days per clamshell, and we are working from only one mold, so lead time will vary with preceding orders. Looks great Carey! 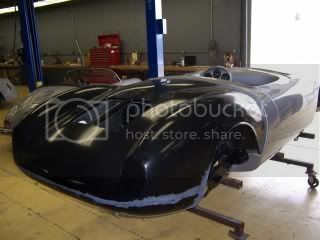 I will be doing new paint next late spring/summer, so I will have that on my wish list. Carey - that is absolutely beautiful and EXACTLY what was needed! A little steep for me right now but maybe later (if they work pretty straight forward with the vintage spyders) I'll pick one of these up! Carey - would you consider a painted version in Chamonix Silver? Any idea how well they will fit the various years of a Beck and how much work will be needed to get them to fit correctly? I have a circa 1986 and your probably the only person who knows if the shape has changed any over the years. I'd love one, but times are tough out there and right now adding another $7K (including new paint) to the spyder would be a poor investment right now when spyders seem to be selling in the $18-23K range. Still I love the new design or I guess new old design, or whatever! Regarding paint; due to UV fade, differences in mixing paint, changes in tints over the years, etc... I am positive that I will not be able to panel match the paint. I would be willing to paint IF someone had their car color scanned locally and supplied me with paint that they were happy with.